President Donald Trump's national security adviser will raise thorny subjects with his counterparts when he visits Moscow to help craft a script for another high-level meeting between Trump and Russia President Vladimir Putin. 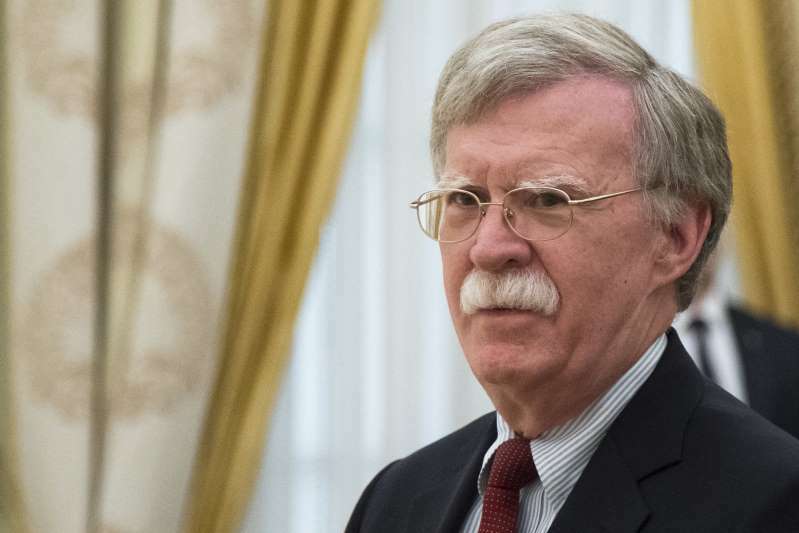 The New York Times citing unnamed sources reported Friday that Bolton is expected to tell Russia that the U.S. is getting ready to leave the Intermediate-Range Nuclear Forces Treaty. The U.S. has accused Russia of violating the treaty for years; Russia says the United States is in violation. The Trump administration would not confirm reports that Trump will exit the treaty. "Across two administrations, the United States and our allies have attempted to bring Russia back into full and verifiable compliance with INF," a senior administration official said on condition of anonymity because he wasn't authorized to discuss the issue. "Despite our objections, Russia continues to produce and field prohibited cruise misses and has ignored calls for transparency." Democratic Sen. Ed Markey of Massachusetts, a member of the Senate Foreign Relations Committee, said pulling out of the treaty would play into Russia's hands, undermine U.S. security and betray NATO allies. He said any attempt by the Trump administration to leave the treaty will spark a fight with Congress. "Without question, Russia is violating the INF treaty. Threatening American withdrawal will not increase our negotiating leverage, it only falls hook, line, and sinker for Putin's predictable attempts to goad the United States into justifying Russian noncompliance," Markey said. Bolton also is expected to emphasize U.S. desire to maintain sanctions against North Korea to pressure Pyongyang to eliminate its nuclear weapons program. The Russians and Chinese have suggested it might be time to ease up on sanctions, but that is not the U.S. view and "we will not relent," said a senior administration official. The official spoke only on condition of anonymity because he was not authorized to discuss details of Bolton's trip. Putin and Trump met last in Helsinki, Finland, where Trump was criticized for appearing to doubt U.S. intelligence conclusions that Russia meddled in the 2016 election.